As a wedding photographer, not much is scarier than the idea of transitioning to a new market. What if you’ve been in business for a decade, and now you have to pick up and move yourself across the country? What if you’re a newer wedding photographer, tackling your first few wedding seasons, and it’s time to move? 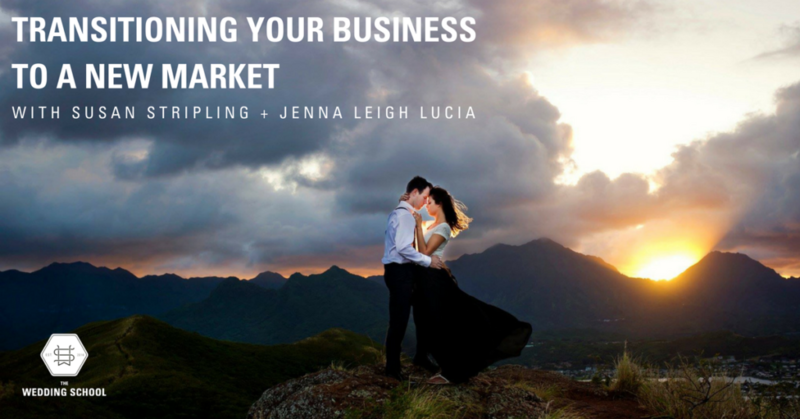 While transitioning to a new market might be a frightening prospect, Jenna Leigh Lucia is here to help make it easy! Jenna has moved her business almost every three years, from South Korea to Texas to Hawaii to her new home in Washington, D.C. She’s no stranger to the art of relocating a business, and she has brought her tried and true marketing and business ideas here to The Wedding School. Learn how to do advance research, getting to know your new hometown before you’ve even moved. Jenna brings her years of experience transitioning to a new market to you, demystifying the process entirely. Whether or not you’ve recently moved, are about to move, or are plotting a move in the future, this course will help you understand how to transition to a new market with ease. The tips shared are so spectacular that they can help even the most seasoned of business owners, whether or not a move is in the cards for you!